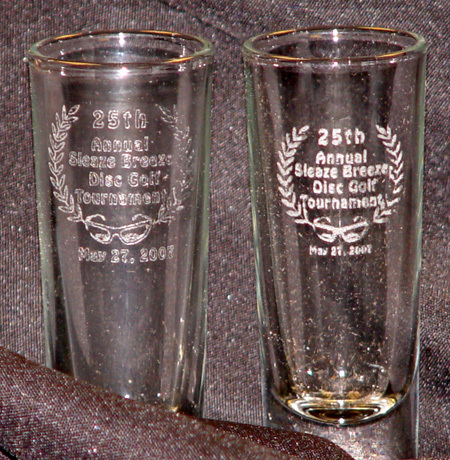 Laser engraving on glass offers a unique touch to any gift, for wedding, anniversary or graduation. 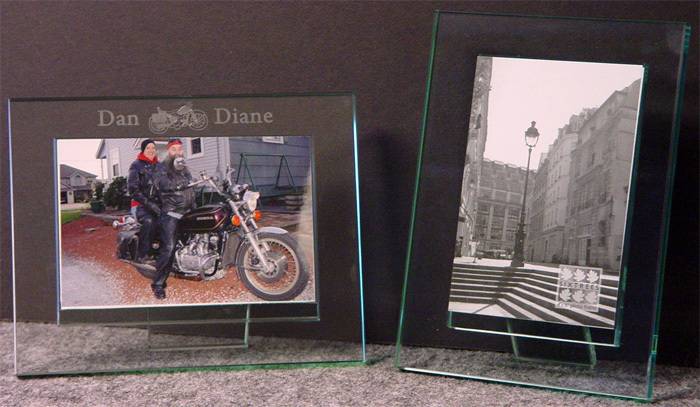 Votive candle holders, wedding glass set, shot glass, sports mug, apple paperweights, and even personalize the glass that protects your favorite framed photo. 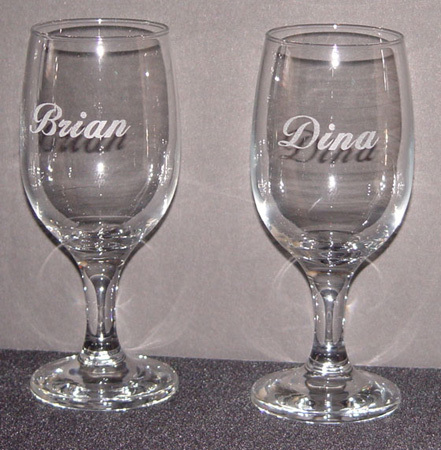 Our services include custom glass etching, unique etched glass gifts, glass bottle engraving, personalized wine bottles, wine bottle engraving, personalized wine glasses, and etched champagne glasses. Take note of our special wedding glass set, we would enjoy helping you make your special day a memory. 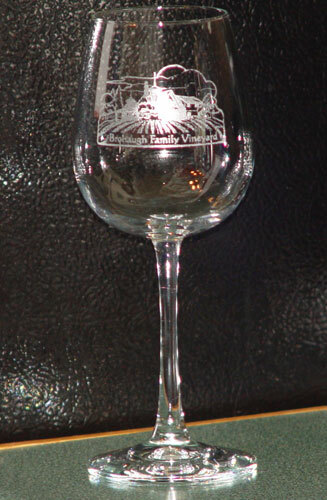 M & K Custom Glass Laser Engraving Disclaimer: We have provided this web site for informational purposes only about our custom laser engraving. Although we have tried to provide the most current and accurate information, our custom and personalized laser engraving products and prices are subject to change.